Dr. Shields is editor of editor of Jane Addams: Progressive Pioneer of Peace, Philosophy, Sociology, Social Work, and Public Administration, published in 2017. She is also Professor of Political Science at Texas State University in San Marcos, Texas, and Editor-in-Chief of the journal Armed Forces and Society, the leading peer-reviewed journal on civil-military relations. In addition, Pat has received many awards for excellence in teaching such as the National Association for Schools of Public Affairs and Administration, Leslie A. Whittington Excellence in Teaching Award (2002), The Texas State Presidential Award for Excellence in Teaching (2001), the Texas State Faculty Senate, Everette Swinney Teaching Award (2010) as well as the Professor of the Year Award from the Central Texas Chapter of the American Society for Public Administration (2006). In this 87th episode of Philosophy Bakes Bread Eric Thomas Weber and Anthony Cashio interview Dr. John Thelin, University Research Professor of Educational Policy Studies and Evaluation at the University of Kentucky and author of Going to College in the Sixties. John is an historian and author of many books, including his widely read and studied A History of American Higher Education. He was honored in 2004 with a Great Teacher Award and in 2006, he received the University Provost’s Award for Teaching Excellence. In 2007, the American Educational Research Association conferred on him the Exemplary Research Award on Post-secondary and Higher Education Research. John’s further books have included Games Colleges Play, Essential Documents in the History of American Higher Education, as well as a textbook on American Higher Education. In this 82nd episode of Philosophy Bakes Bread and our 16th “breadcrumb” episode, Eric Thomas Weber and Anthony Cashio invite Dr. Marilyn Fischer back on the show to talk about the relationship between Jane Addams and John Dewey. As a reminder, Marilyn is a Professor Emerita at the University of Dayton where she specializes in political philosophy and American Pragmatism. She focuses especially on Jane Addams’s philosophy. She has a strong passion for interdisciplinary work. She is the author of several books, including Ethical Decision Making in Fundraising (2000), On Addams (2003), and in 2008, she released a co-edited volume titled Jane Addams and the Practice of Democracy. Reach out to us on Facebook @PhilosophyBakesBreadand on Twitter @PhilosophyBB; email us at philosophybakesbread@gmail.com; or call and record a voicemail that we play on the show, at 859.257.1849. Philosophy Bakes Bread is a production of the Society of Philosophers in America (SOPHIA). Check us out online at PhilosophyBakesBread.com and check out SOPHIA at PhilosophersInAmerica.com. 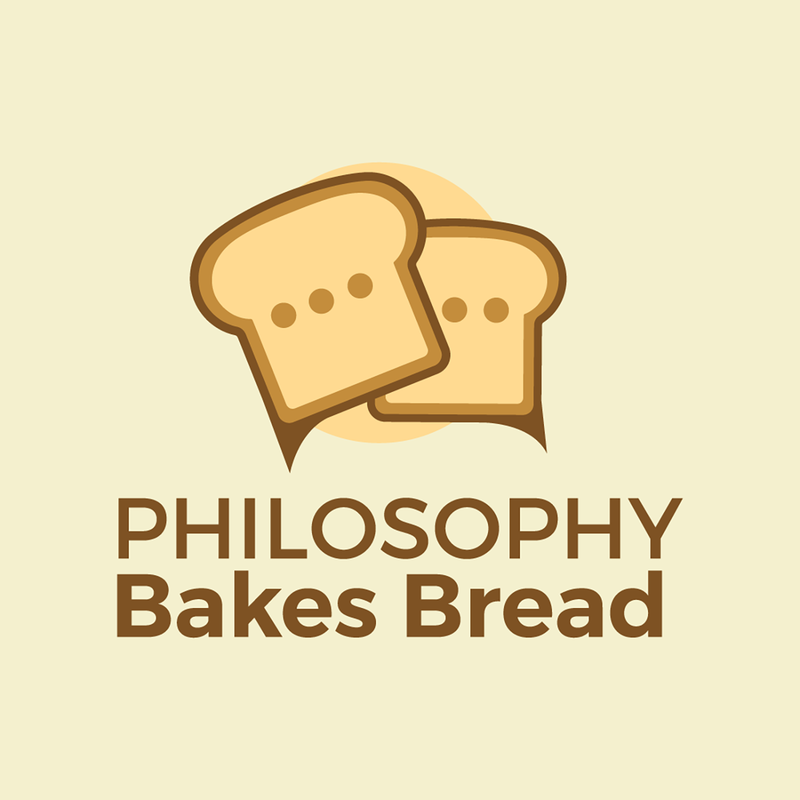 In this 81st episode of Philosophy Bakes Bread and our 15th “breadcrumb” episode, Eric Thomas Weber and Anthony Cashio invite Dr. Marilyn Fischer back on the show to talk about a great voicemail message that we received from Dr. Vance Ricks of Gilford College, who had called in about Marilyn's first chat with us, in episode 67. In this 80th episode of Philosophy Bakes Bread and our 14th "breadcrumb" episode, Eric Thomas Weber and Anthony Cashio invite Dr. Erin Tarver back on the show to talk with us about a great listener voicemail that we received from Julia from New Hampshire. We call this breadcrumb episode "The Good, the Bad, and the Ugly of Sports Fandom." Erin was our guest in episode 31 of the show, titled "Sports Fan I Am." She is the author of The I in Team: Sports Fandom and the Reproduction of Identity. In that episode, she raised the following question for our listeners near the end of the episode: “Should colleges and universities even be in the business of organizing ‘minor league’ sports teams?” In her voicemail, Julia responded that although she is a sports fan and was an athlete in college, her feminism raises concerns for her about the adversarial quality of sports competitions, among other concerns. Erin offers us a rich response.